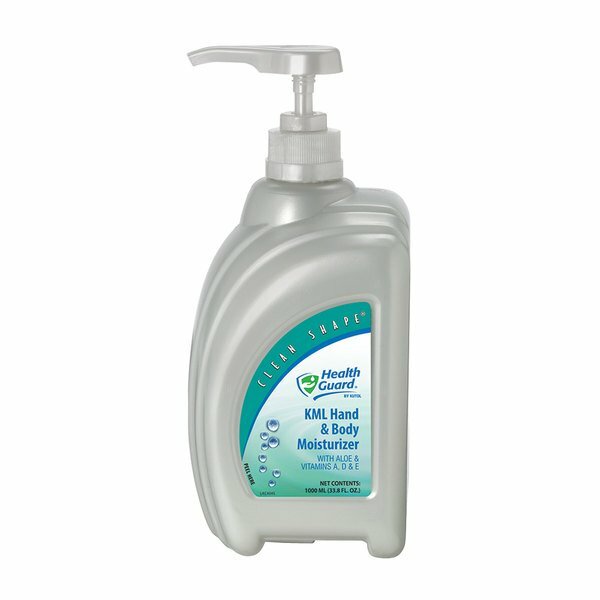 This Kutol 66236 Health Guard hand and body moisturizing lotion provides relief for dry, irritated skin. Hands and body are conditioned and restored with aloe vera and vitamin E while the natural anti-itch properties of oatmeal provide soothing comfort. With an attractive opaque light green color, the fragrance free formula is great for sensitive skin! The bottle's gentle curves are balanced by a sturdy flat bottom for stability when pumping. The compact size makes it a perfect addition for any workplace, restroom, locker room or hand wash station! This hand and body moisturizing lotion dispenses 0.75 mL per push and provides approximately 1300 uses per bottle.